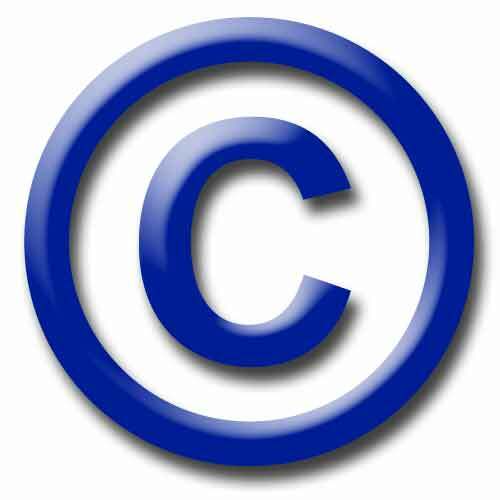 You might have heard that a company associated with the Las Vegas Review-Journal filed suit on April 14, 2010, case number 2:10-cv-0539, against a REALTOR® for alleged copyright infringement. The Complaint can be read by clicking HERE. The accusation is that the REALTOR’S® web site displays on an unauthorized basis, a substantial portion of the literary work owned by the publisher. In other words the entire article is published without authority. So here how it should look. Lets take the article found by clicking HERE . A qualified current homeowner who wishes to move to a different home (a “move-up” buyer), must have owned and resided in their residence for five consecutive years out of the last eight. It’s not enough that you have been homeowners for five years—you must have been in the same home for five consecutive years. Single taxpayers with incomes up to $125,000 and married couples with a joint income up to $225,000 qualify for the full tax credit. According to Goldman Sachs, these income limits make approximately 70% of current homeowners eligible for the credit. The maximum credit amount for current homeowners is $6,500. Under the new legislation, a tax credit may only be issued for homes purchased for $800,000 or less. Even though the term “move-up” is used to describe these buyers, the credit is not predicated on buying a home of higher value than your current home. Move-up buyers are not required to sell their current home to qualify for the credit. They must reside in the new home for at least three years, but they can keep their existing home and either leave it vacated or use it for rental purposes. “These are just a few of the key facts surrounding the move-up buyer tax credit,” said Stark. “For more information, contact a licensed Nevada Realtor.” To find a Prudential Americana Group Realtor, visit www.americanagroup.com. Prudential Americana Group was Nevada’s top-selling real estate company in 2009 and has approximately 1,100 sales executives. It is an independently owned and operated member of Prudential Real Estate affiliates and is the 8th largest in the company’s national network of 677 franchises. For more information, visit www.americanagroup.com. What if your website references a printed article (no internet article exists). A screen shot (picture) of an article with attribution is specifically what I’m referencing. I think it may be an infringement. All reprints must be by permission of the author. Now if you are an ISP, that is a bit different, you have to have a system in place. …and further, I’m referenced within the article. I would note that I am unaware of any rulings that in fact provide protection if you simply quote one paragraph. There is a lot of opinion that anything up to three paragraphs is an acceptable excerpt but I know of no ruling that says that you cannot be sued over a single paragraph…they may lose but you still have to defend…a not inconsiderable expense. The safe way is do a rewrite. Take the interesting part and rewrite it in your own words. Combine that with a link and you are set. The Blog: “Nevada Residential Real Property Law” is very good because, it shows some rules and guidelines of Real Estate Property. Which will help better to all the Real Estate Companies in all over the World. Thanks For Sharing the Valuable information…..
What if you are writing a blog article and want to use a list of certain facts from a book as part of the the blog article? If at the end of the article you post the book and page where the list came from, is that a copyright infringement? It’s not really possible to rewrite a list in your own words and it’s not exactly a paragraph. The book also has many authors who contributed their research the various lists in the book. I am not an expert on copyright. I think the main point is to not use all of the information “completely copying” so a reader doesn’t want to go to the real source. In your instance, if it’s a list. I would suggest you state where it came from right where you found it, like, “in the recent article __[jump cite]____________, the following list ….” So it is clear you did not write it, and that you are giving credit to the source. Remember, you can use other works for education and news (investigative writing) but not to sell your own fictional work.